Hugh Laurie is seen exiting a tuxedo rental shop on Grafton Street 19.09.2012 -Irlanda. . Wallpaper and background images in the Hugh Laurie club tagged: hugh laurie 2012 actor appearence public. 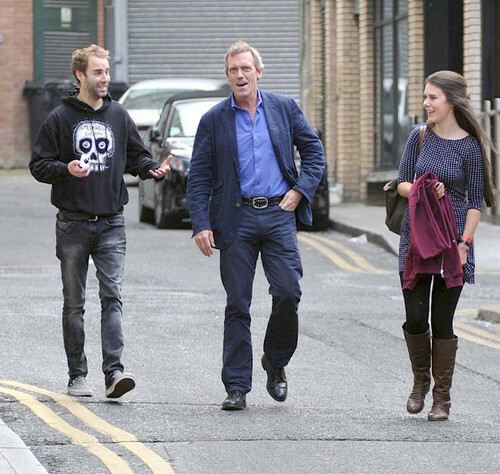 This Hugh Laurie photo contains business suit, street, city scene, and urban setting. There might also be carriageway and pelican crossing.